Wittgenstein liked Hollywood westerns and crime fiction. Jiddu Krishnamurti enjoyed detective novels. Me, when I want some light reading, something for sheer fun, I turn to fantasy novels. Dungeons and Dragons sort of stuff, although I never actually played D&D. But anyway, I remember December 27th, 1990. My brother had gotten a Nintendo game called Wizards and Warriors for Christmas, and playing it made me think, “You know, I like this sort of thing; I should go check out some fantasy novels.” And so I did. The first one I got was R.A. Salvatore’s Streams of Silver, which was actually the second novel in a trilogy, but Waldenbooks didn’t have the first one in stock, and I didn’t feel like walking up to the other end of the mall to B. Dalton’s. 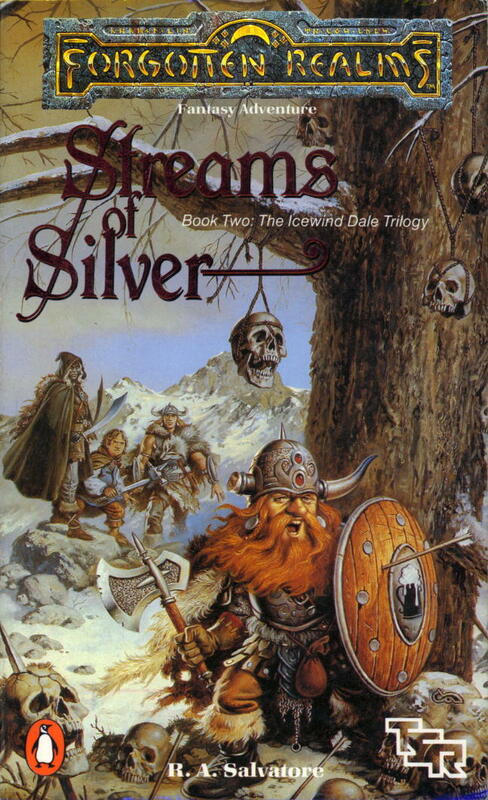 I had one of the worst migraines I’ve ever had after I got home, so I spent the rest of the day comatose in the dark and didn’t get any reading done, but I tore through it over the next two days and loved it so much that I went back out and bought the first in the trilogy, plus whatever other Forgotten Realms novels were on the shelves. I still have a small little stain on page 13 of The Crystal Shard that always reminds me of carelessly touching the page with a finger wet with pizza grease, as I sat in a little family-owned pizza parlor (long since replaced by a chain restaurant) on New Year’s Eve, having lunch while getting started on my newest acquisitions. Good times, good times. Twenty years later, even though many of the stories are cheesy beyond belief, and the prose and plots are often forgettable, I still enjoy them. I just read Salvatore’s latest last month, and I just got a few more novels as Christmas presents to myself, in fact. I guess it’s safe to say I’ll never outgrow this particular pleasure of youth, thank goodness.